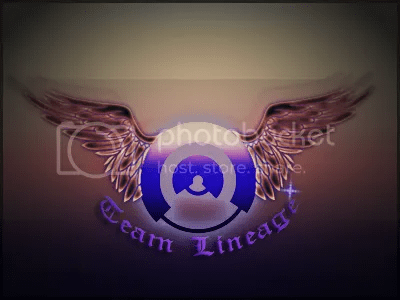 Team Lineage was formed in the latter part of 2008, when two friends fell in love with the sport of paintball. The group of two later grew to three around Christmas 2009, and then grew to nine with the addition of a six members found through a paintball forum. We knew what we wanted to play, we wanted to play NPPL/PSP/USPL paintball. We didn’t know how we were going to do it, but we knew we needed a name. After months of looking, reading, and just trying to figure out a name, we settled on Lineage, when we posted a poll on TechPB with ten possible names. Lineage pulled in front with a noticeable margin. Paul Koronkevich, the mid player, webmaster, and part-time team manager (in reality, we’re all team managers of sorts). Paul uses a Redz Ion, Pinokio, and Ninja 70/4500. Unfortunately, he doesn’t have much money as of now, so his setup is lacking. The future will provide however. Stuart Bramer plays the back right bunkers (because he’s handicapped when it comes to left ones 😛 ), and his setup is a PE 68/4500 Pure energy tank, Infinity Legend, and a Pinokio. Nick Willard, our front and snake player wields a Bob Long Vice, paired with a Pinokio and a Ninja 50/4500, he’s one of our most aggressive players. Ein Thurman is one of our older players, 15 almost 16. He uses an older Smart Parts Vibe with Blackheart, and usually an extra Halo. Hes one of our best back players and he plays back right, behind Nick in snake corner. Blake Erickson is 15 years old. He has a Bob Long Alias with a Prophecy. He is also a phenomenal back player, and he’s our guy that usually plays home. Then moves to whichever side of the field needs it after the break. John Stokes. He is fourteen and he has an Ego 9i and Halo Invert Too. He is our second mid/front player and plays doritos, but he usually lies low in them and picks people off from cross field. Logan Sedoris. Fourteen years old. He uses a Halo B, Bob Long Rapper, and Ninja 50/4500. He’s a dorito side player. He usually is either in front of Paul, or whoever is picked to play the bunker behind him. Sanders Courtney. Our newest addition to the team, Sanders is sixteen, and uses an Etek 3, Empire Prophecy, and a PE 68/4500. He plays front dorito, adding yet another person to our dorito playing legion. The blog was formed in April of 2010, and will be regularly updated. We are currently a Division Four team. What does i do now? is everyone in the bios gonna be at players day? Nope, only me and possibly Stuart. Maybe Blake as well. That’d be the maximum though because Beau is going to a summer camp. I wont be able to make it to players day….. steer are being taken to fair in the morning….sorry maybe next time…. oh and everyone bunker blake if he goes…..
Yes… and my pants came in!!!!! WILL BE CHANGED. PLEASE WAIT FOR UPDATE.